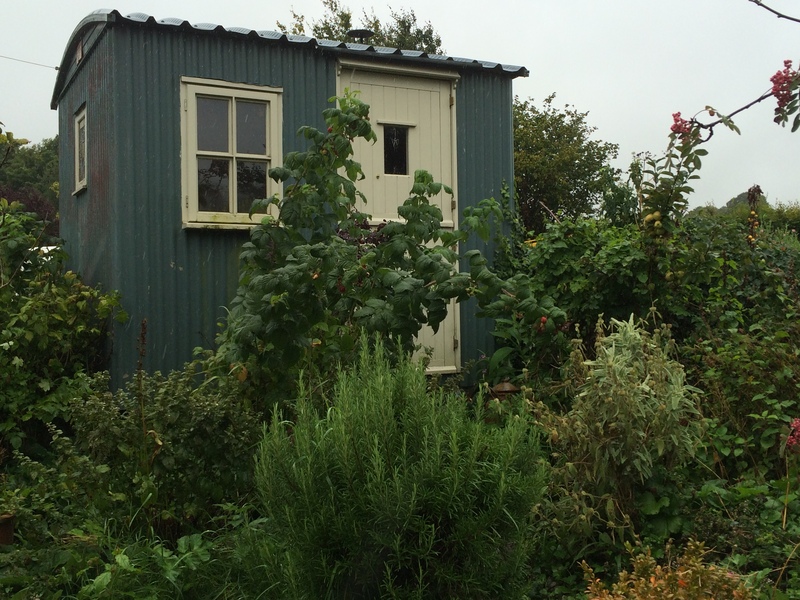 Chris had the Shepherd’s Hut made about 5 years ago as a “room of her own.” She decorated it exquisitely on the inside with a kind of post-modern, narrow-boat aesthetic, leaving the outside very plain to belie the cornucopia of delights within. She loved to snooze in it on summer days and to light the stove and make tea in colder weather. Often, she would lie on the bed to read and sketch in her notebook. I didn’t go in for months after she died but since getting back from holiday, when Ted and I spent 5 weeks cheek by jowl in the camper van, being in a house, even one as small as Folly Cottage, feels a bit strange so he and I sometimes spend the night in the hut. our shadows dancing on the walls. She isn’t here, she’s gone away. I swallow hard and catch my breath. What does he know of sudden death? It’s alright boy, she couldn’t stay. It’s you and me. We’ll be O.K. my she-bear playing on a star. all living things are missing you. Geoff – thank you for these stories and pics. I still miss my dear artful mentor more than I can say. Hugs to you.